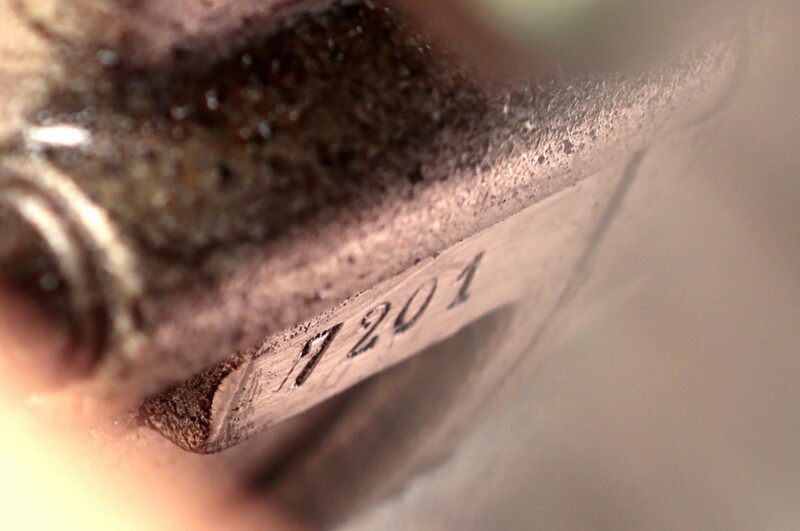 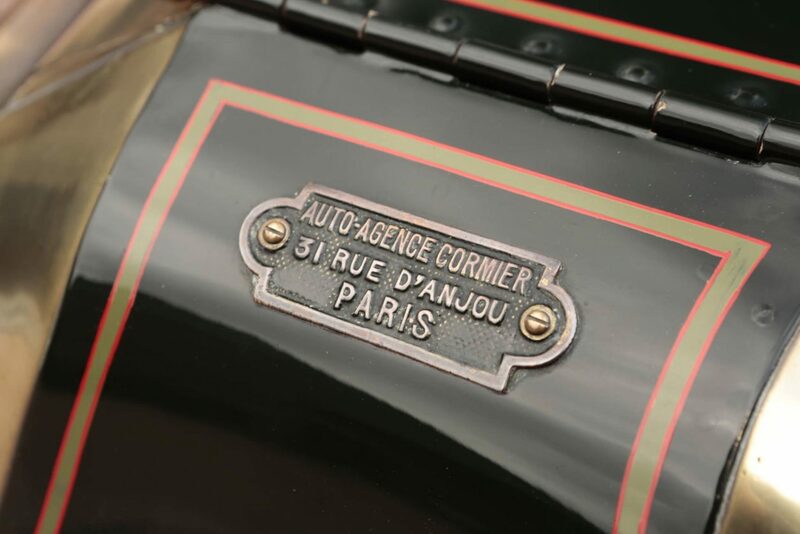 Renault was established in 1899 by the talented young French engineer Louis Renault, Louis partnered with his brothers Marcel and Fernand – Two men who had years of business experience working for their father’s successful textile company in France. 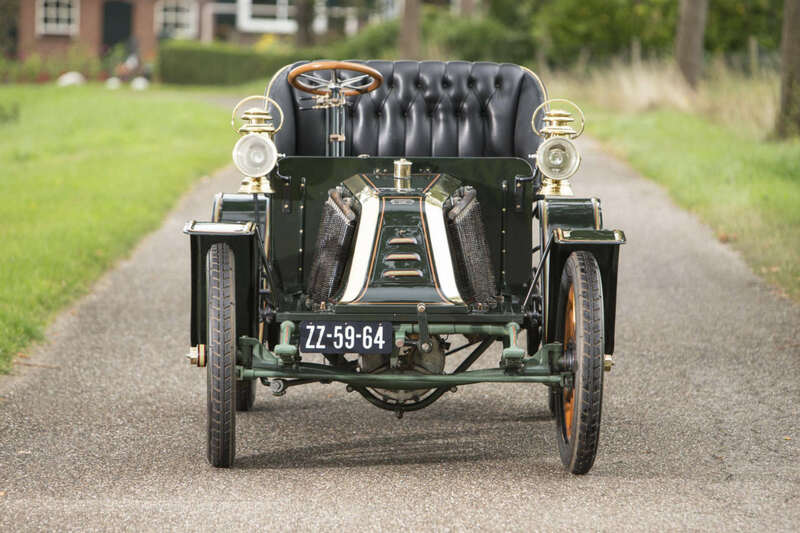 The first model produced by Renault was the Voiturette, it was offered in 3 major iterations with this one being the final and most evolved of the designs – the Type G. The single-cylinder Voiturette powered by an 864cc water-cooled De Dion motor rated at 8 horsepower. 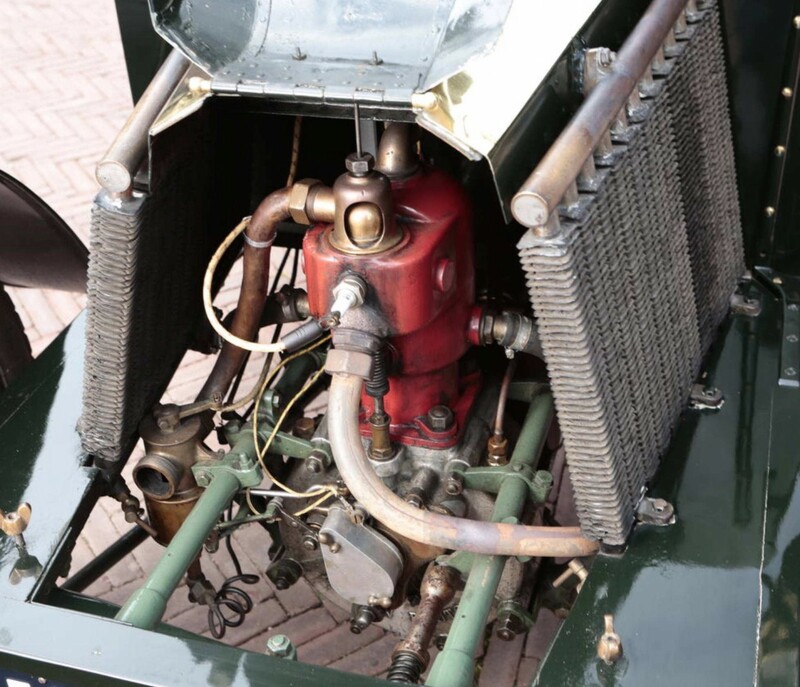 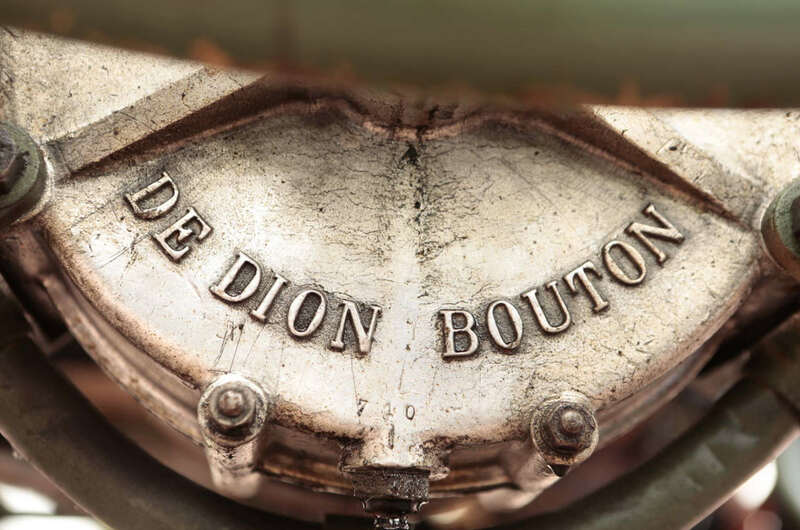 The distinctive twin, side-mounted radiators had been initially implemented when water-cooling was introduced in 1900 on the earlier Type C, they were then enlarged for the Type G.
The front and rear semi-elliptical springs gave the Voiturette quite a comfortable ride for the era, the thumping De Dion engine powered the model to numerous race victories in France and around Europe – automobile racing was an entirely new fad at the time, the drivers were usually wealthy gentlemen (or their sons) and speeds often reached speeds in excess of 35mph (the land speed record in 1901 was 57mph). 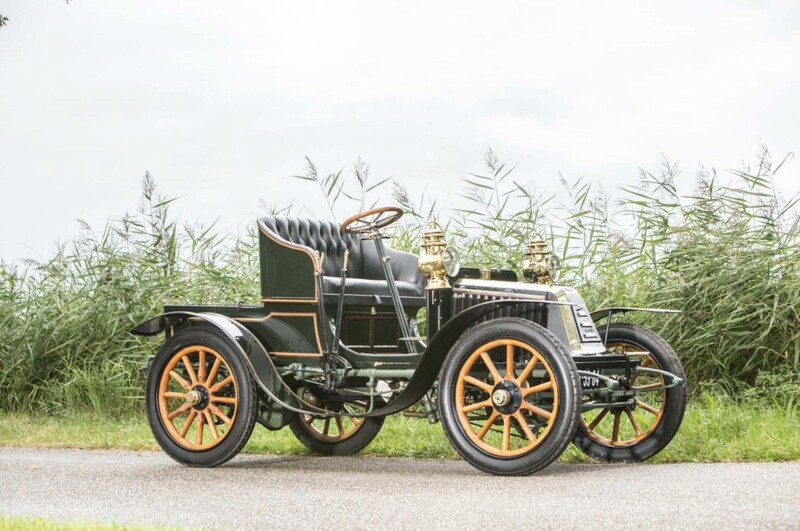 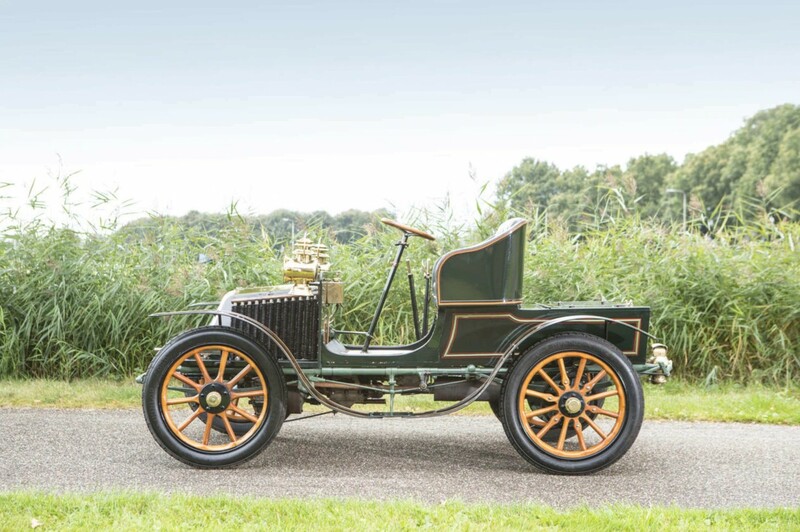 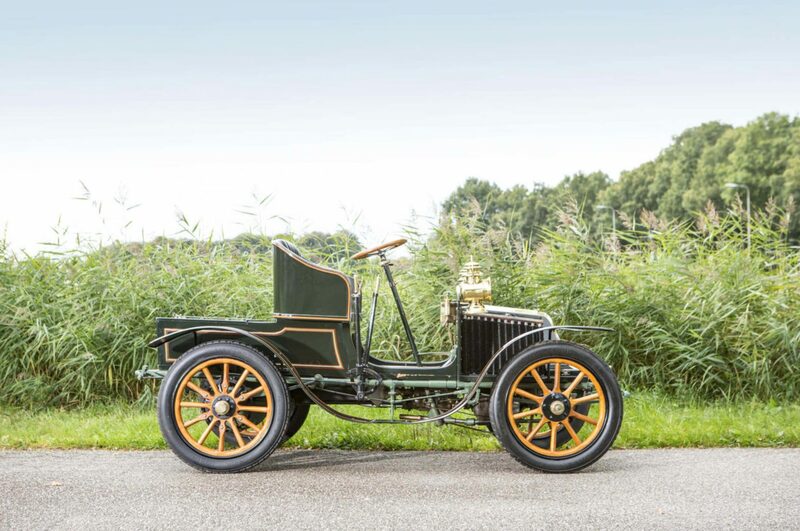 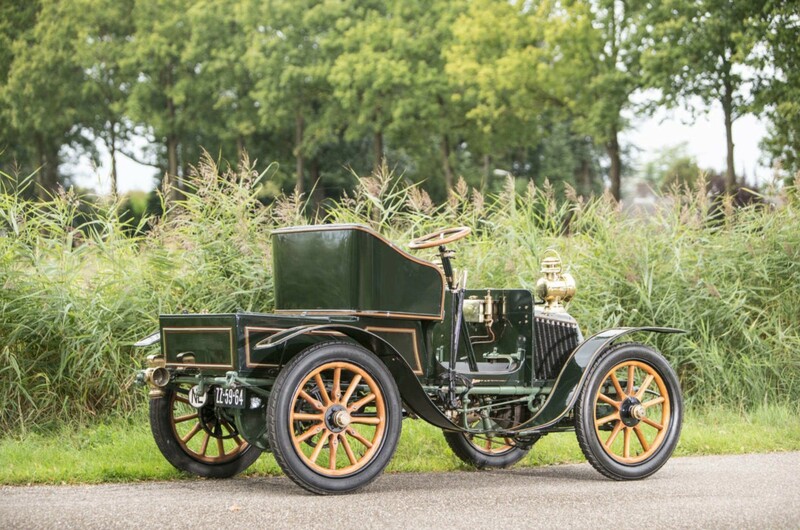 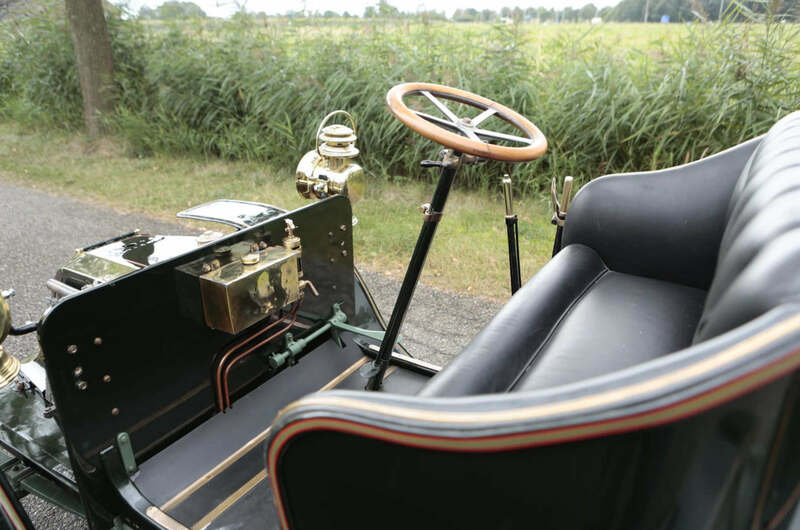 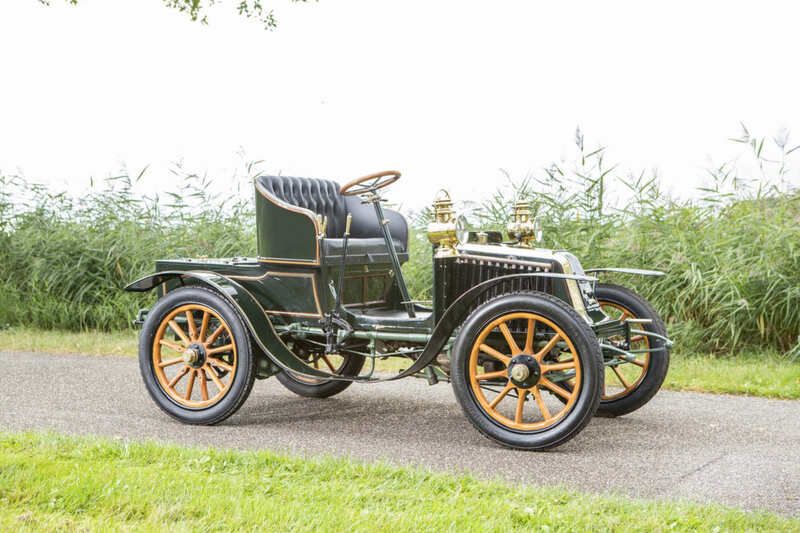 The 1902 Renault Voiturette you see here was painstakingly restored in 2000, careful attention was paid to keep all the metal work original however much of the wood needed to be replaced for the sake of safety. 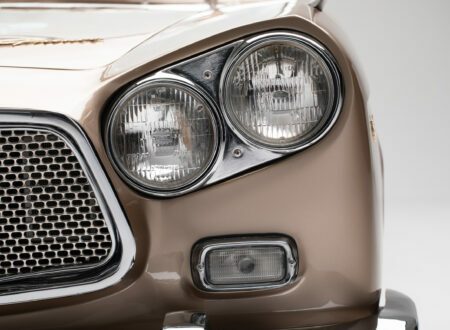 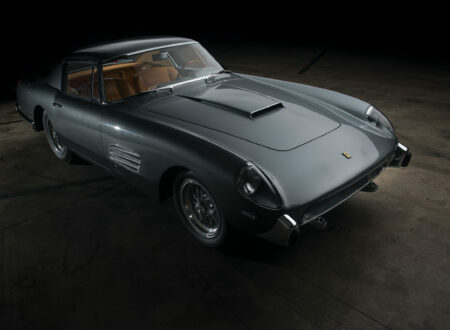 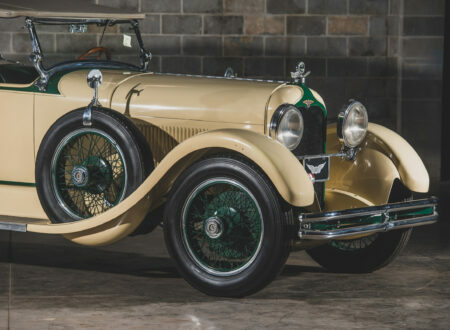 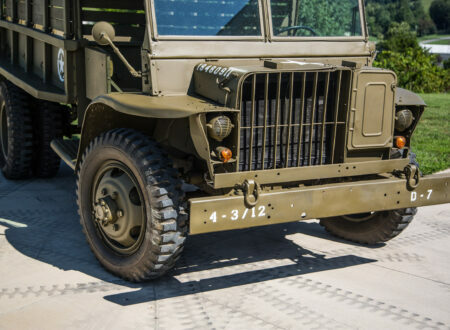 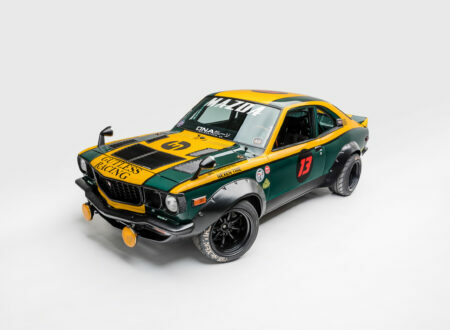 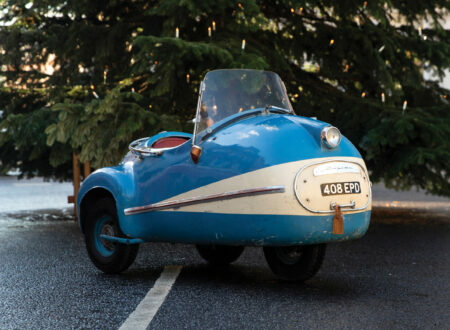 The car is now ready for vintage rally races and Sunday afternoon drives, its value is estimated at being between £60,000 and £80,000 – if that sounds doable you can click here to read the full listing and register to bid via Bonhams.